2 A2 posters printed onto 130gsm paper using solvent inks which makes them suitable for short term outdoor use. 20 A4 posters laser printed onto 130gsm gloss paper, these are ideal for indoor advertising of your event. 500 A5 flyers printed single sided onto 130gsm paper. 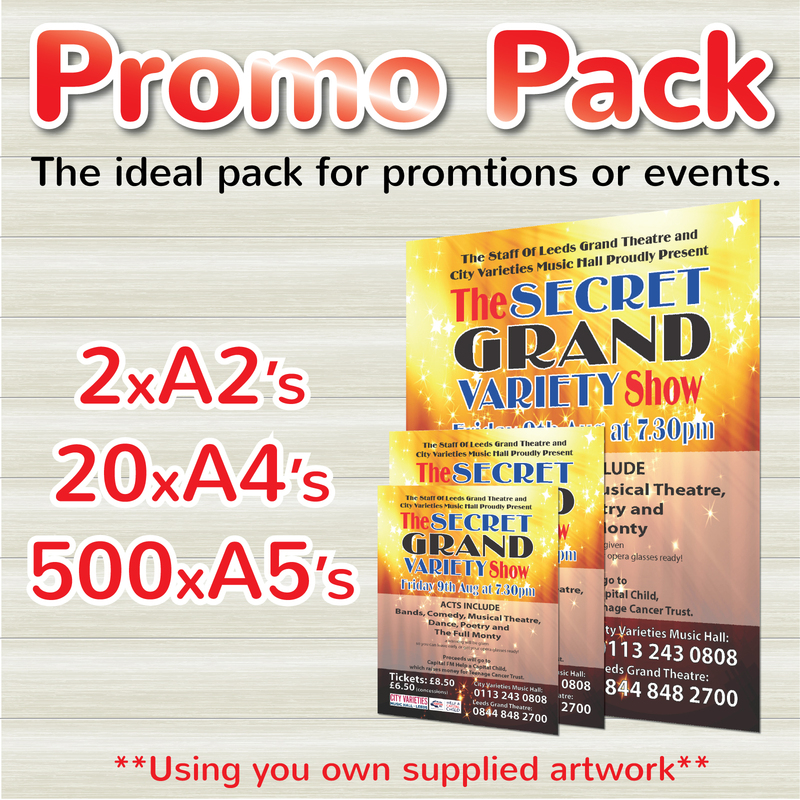 Ideal for any event, promotion or occasion. If the artwork is the same for all 3 items in the pack we only need 1 file supplying, set your artwork up at A4 then we can scale to fit the A2 and A5's. We require high resolution PDF files with 3mm of bleed added. How would you like your Event-promo-pack?